Bitrix’ software is an essential element of our work. Make interactive integrates the CMS (Content Management System) in the many websites and webshops we develop. 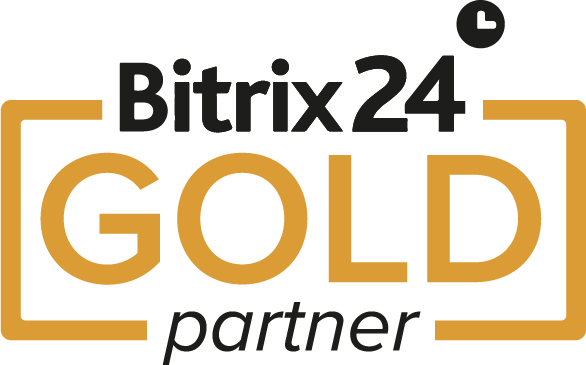 We are Bitrix’ biggest partner in the Netherlands, awarded as Gold Certified Partner. We are leading the total sales and the most complex web solutions. Bitrix is a leading software developer offering tools to help develop and manage modern websites. Bitrix classifies a Gold Certified Partner as ‘a very experienced company with certified specialists in finding complex web solutions based on ‘Bitrix Site Manager’. Bitrix is a Microsoft Gold Certified Partner itself, which means they offer extensive training and support on the Microsoft platform. To reach partner status with Bitrix, we successfully completed all Bitrix training programmes and earned all necessary certificates. As Gold Certified Partner we show that we are involved with Bitrix and their product family at the highest possible level. Make interactive and Bitrix share the same philosophy: ‘Partnership should be profitable for our partners.’ Customers choosing Make interactive are guaranteed to receive the best possible expertise on Bitrix software. The Gold Certified Partnership is a milestone and reward for our company, our customers and our partners. We choose Bitrix Site Manager as our CMS-provider because they offer the best and most all-round multifunctional systems of the entire market. Bitrix serves our customers’ needs for a fraction of the price of other CMS solutions. Because of our partnership with Bitrix we offer our customers a highly functional and secured CMS which boosts cost effective growth of their web projects. No project is too big or too small for our designers and engineers. Bitrix CMS has a user-friendly structure and excellent functions. Bitrix helps minimalizing maintenance costs, which customers can manage themselves. Customers can choose between 24 modules, divided by content and structure. For example, managing fora, commercials, mailing lists, admission rights, statistics and analyses of site traffic. All of these software packages can easily be integrated for our customers.